I am really guilty of letting my children play on their iPads during long journeys but too much screen time really is bad for them so I try to break it up with a few games/toys. I have blogged about our top 5 essentials for surviving car journeys with kids here but today would like to tell you more about Magnetibook's from Tilda and Tom. Tilda and Tom only sell the finest toys sourced throughout Europe. Designed to be durable and stand the test of times, only toys of the highest quality are sold through their website. Their magnetibooks really stand out for me as the perfect toy to travel with - there are 9 designs to choose from ranging from vehicles, dress up and robots to something more educational featuring letters and numbers. 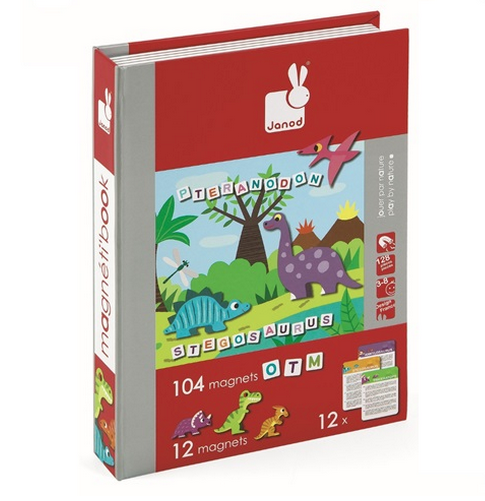 Magnetibooks feature 50+ magnets and a magnetic board all housed inside a handy book which can be closed and easily transported. I packed this '1-2-3' Magnetibook into the children's travel bag when we went to Butlin's last week. This particular book is aimed at children aged 3-8 which was perfect for us as it suited all three of my children in different ways. Unfortunately I was the designated driver for the whole holiday so don't have any in-car pictures but I would love to share with you the things we loved about Magnetibook. Our Magnetibook was suitable for a wide range of ages - Jack (aged 4) used it to 'find' numbers, Heidi (aged 6) used it for simple addition and subtraction and Harry (aged 8) used it for multiplication and addition. The children played together and took it in turn to set each other number challenges. I like how there are multiplication tables included so Heidi could test Harry without actually knowing the answer herself. The numbers were easily stored in the in-built storage tray which also has an additional plastic lid meaning parts aren't likely to get lost and the magnets were strong too. Our box was super easy to transport. Once closed it doesn't open and is the perfect size to pop into a child's rucksack or a seat pocket. We are delighted to have been provided with a Magnetibook from Tilda and Tom to giveaway to one lucky reader. 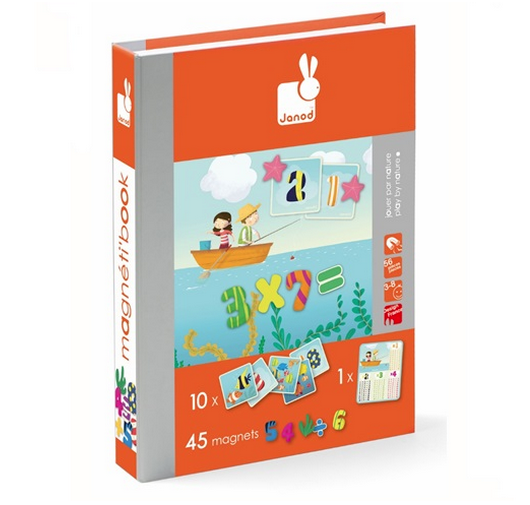 You can choose any magnetibook from this range (subject to stock availability) up to the value of £15. UK entries only. Good luck! My top tip for travelling with kids - quantity (until my daughter's attention span lengthens!) And no tiny bits that can be dropped - magnets sound ideal. These look great! We've just done a huge 3 day (15 hour) trip to France in the car so I'm on the look out for inspiration for our return trip next year! Top tip....take plenty of snacks!!! Always have plenty of things to keep them entertained,and a packet of baby wipes! I took my son on a long haul flight when he was two. I bought him a back pack, and filled it will new, small toys and games. I hid it in my bag until we got on the plane. I also took his favourite blanket and a small pillow so that he could have a nap. On the plane he was only allowed to get one toy out at a time. This kept him occupied for fourteen hours. I let them set the countdown on the ipad and set it for the approximate journey length, that way they can check that the timer is still ticking and saves the are we nearly there yets! Relax, and take plenty things to keep them occupied! Plenty of things to keep them amused and if travelling by car a comfy cushion incase they need a sleep. Take a list of games to play and things to do then tick them off as you play them. If a long journey then wet wipes - as let's be honest, something will get spilt back there! Keep them busy, be it with books, games consoles, music or even I-Spy. Make sure you charge up the ipads! I've yet to travel with the kids but when I was wee I loved it when my mum made a list of things for us to find. I love the countdown idea that someone else suggested, will remember that for when I do travel with my two. We're off to the Isle of Wight next week. I've got Cheesestrings and dried fruit bars for snacking, Disney playlist (for drowning them out! ), a couple of films on the iPad and a huge sticker book each. These look fantastic. I'd love to try one. Bring food, a change of clothes, and some things to read and do. Take lots of snacks and singalong music. We stop often! I'm worse than them though! Wrap up a bunch of cheap toys and give them as gifts every so often. Plenty of games, snacks and stops along the way!! plenty of stimulating games.....toilet stops....and most importantly wet wipes! Take something to keep them entertained! OoooooOh, I found this post just in time! Keep them distracted with simple games the whole family can get involved in. And no arguments over mummy's music choices! Rice Cakes are a welcome distraction for naughty children! Charge up an android device and load it up with peppa pig! Always works for me! Car games for the whole family - trips go so much more quickly!